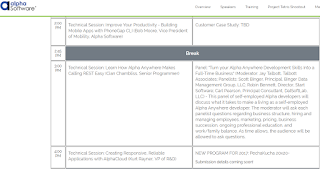 The agenda for this year's Alpha Anywhere Developer Conference ("DevCon 2017") has been announced. 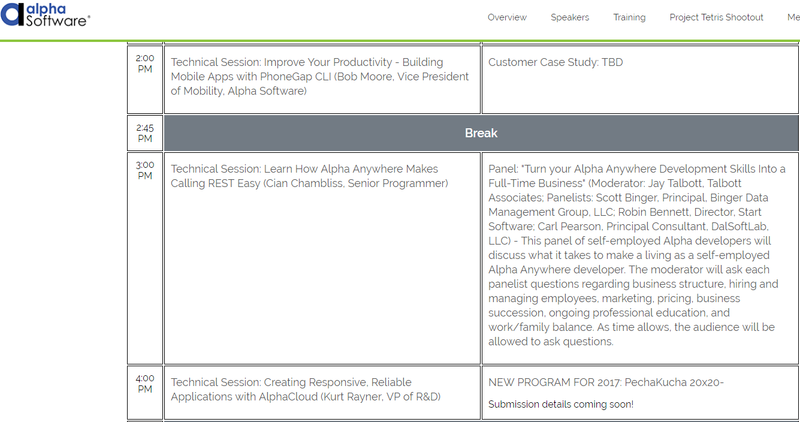 We'll be there as usual and I'm part of a developer panel session to talk about how to turn Alpha Anywhere skills into a successful Alpha Anywhere-based business. If you need support, advice, consultancy or training in Alpha Anywhere then do get in touch or come and say hello at the DevCon!